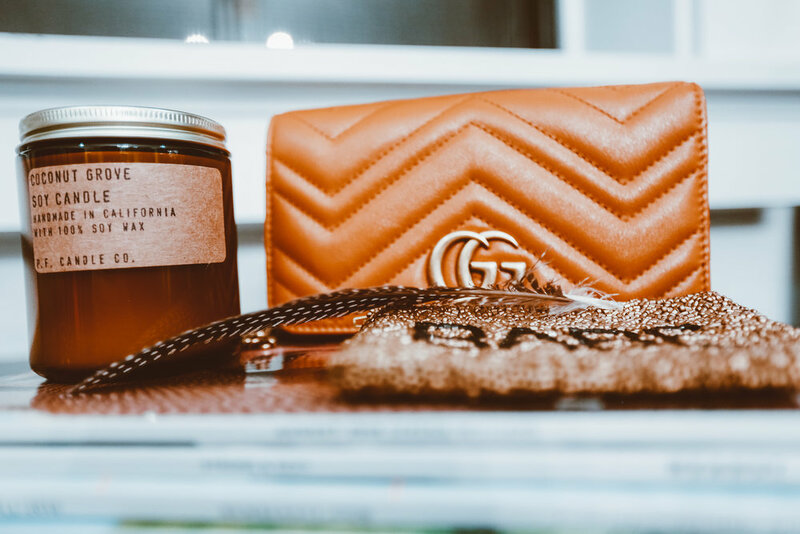 Designed to house a wardrobe most women would drool over, Amber Duncan, Jackie’s CEO, has the gold standard of a curated closet. 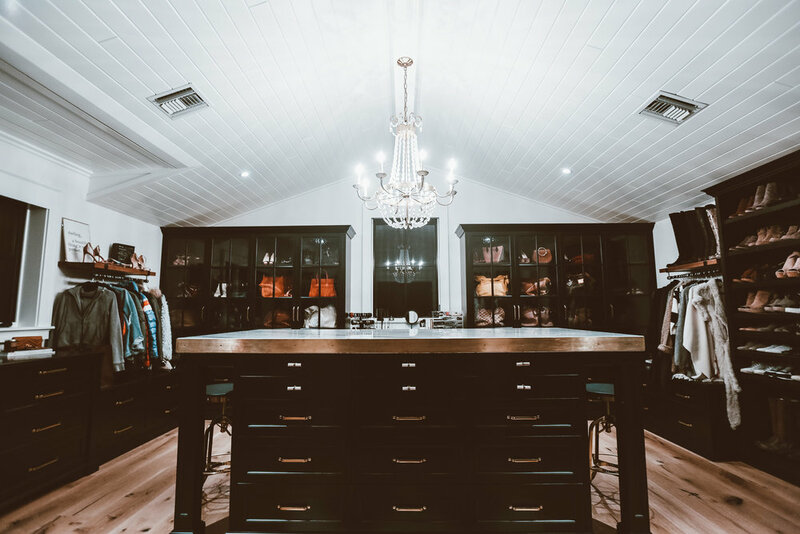 In her family’s custom built home, she created the perfect space for her favorite brands and pieces. From her pristine shoe collection, to her gorgeous handbags, her wardrobe is one to dream about. The space is filled with storage galore to house all of her wardrobe essentials. Notice the well organized shoe display along the right wall and the cabinets filled with handbags for every occasion. One of our favorite things about Amber’s walk-in wardrobe is the dual purpose of the floating table top, perfect for brainstorming, working on exciting new projects and styling sessions. Amber’s walk-in wardrobe allows her to share that vision with people and openly invite others in. The space is not only beautifully lit and luxuriously scented with hand-poured candles, but it is a space that inspires. It encourages women to think critically about cultivating a wardrobe that can keep up with their unique lifestyle. It inspires them to understand the unbreakable bond between confidence and styling. More than anything, it motivates women to dream big because anything is possible. *Images By Connor Duncan Photography.